Good oral hygiene plays an important role in modern society. It says something about your personality, about your health. A nice smile displays confidence and care, and makes an individual happy. It can even extend one’s lifespan. So it’s really not surprising to find that our contemporary focus on oral care actually goes back to some of our earliest ancestors. Recent findings show that the need for a dentist goes as far back as 13,000 years. So the next time you feel like brushing off that upcoming appointment to get a dental filling or cleaning, think about the fact that the positive outcomes of oral hygiene have been celebrated for quite some time. Though there is no reason to fear going to the dentist now, there was much to be afraid of back in the day. Imagine the local dentist approaching your mouth with a stone in one hand and a sharp object in the other: “Hold tight, this is really going to hurt.” Chances are fewer people would keep their appointments if this were the case, but our prehistoric selves actually used whatever they could find to perform dental procedures. In particular, they would utilize pointed stones to drill out rotten teeth and seal fractures with beeswax. They would even pierce inflamed gums with toothpicks to relieve infected areas. Sounds pretty rough, huh? A recent skeletal finding in northern Italy shows the earliest known example of a dental filling. The skeleton dates as far back as around 13,000 years old, and has two front teeth with prehistoric fillings. When researchers took a closer look at the teeth, they were able to see markings in and around each tooth indicating the use of a sharp tool to rid the tooth of decay. 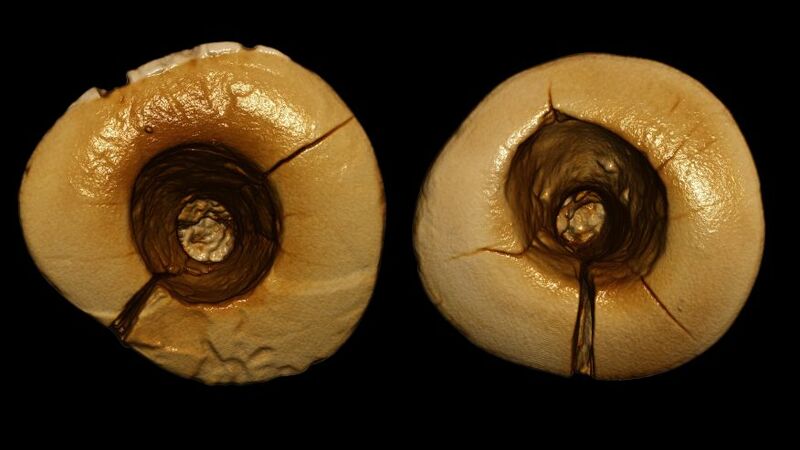 Inside the teeth a substance called bitumen was found, which is a tar-like matter often used by our early ancestors as a protectant to fight against infection. What does this finding tell us about the importance of dental care? Well, for one, it tells us that people will do just about anything to rid themselves of the pain associated with oral infection (anyone willing to scrape the inside of his or her tooth with a sharp object must be in some serious pain). This 13,000-year-old filling also indicates the importance of taking proper care of one’s teeth, and further proves the adage that we are nothing without our health. Around 5,000 BC it is the Sumerians who first depict evidence of dentistry. Ancient texts indicate a persistent problem with tooth decay and people’s struggle to deal with the pain it caused. But it wasn’t until around 2,600 BC when the Egyptians first coined the word “Dentist.” This word was found on ancient tombs, describing the sage physician who helped his fellow Egyptians with oral care. From 500 to 300 BC we see that philosophers such as Aristotle began to speak about the importance of oral hygiene and those who can aid in the act of preserving the teeth and gums. And we continue to see references to the importance of dental hygiene through the early ages, and even into the middle ages. Studies show indication of a “Guild of Barbers” in France around the year 1210. This guild was divided into two sections: those trained to perform surgical operations, and others who were trained to take care of routine hygienic procedures, such as dental fillings and tooth repair. Through to the end of the Middle Ages, a number of texts were produced devoted solely to the practice of dentistry. But it wasn’t until the 18th and 19th century that we see a true dedication to dentistry. During these centuries there were countless orations and writings delving into new ways of preserving and protecting the teeth. This is also when dentistry began to be used for more than just repair or for the reduction of pain. 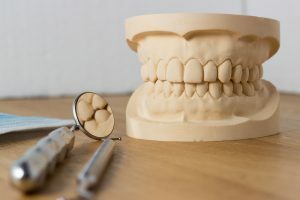 Dentistry was beginning to be something sought after by those who wanted a better-looking smile and the many benefits to having, not only clean, but also straight and white teeth. Dentistry has been around as long as humans have walked the earth. It began as a way to alleviate pain and discomfort and gradually moved into a promising practice to create and maintain lasting smiles. So What Exactly is a Dental Filling? The purpose of a filling is restore teeth to their natural shape and function. Often, when matter such as food particles are not cleaned properly from a tooth, infection sets in. And in time this infection eats away at the enamel and creates a cavity. Rather than pull the tooth, the infection can often be removed and the tooth cleaned. Then a filling is applied to fill the void eaten away by the infection. An added bonus to fillings is that once a tooth is filled, it becomes difficult for infection to set back in. This is due to the fact that the areas of the tooth susceptible to infection are now sealed and protected. This is referred to as onlays or inlays, and is typically designed in a lab then bonded to the tooth. Porcelain can be matched in color to the other healthy teeth, and is known for its capability to resist staining or color changes over time. Composite Resin. A form of plastic, composite resin is a good material to use for small areas needing repair. The filling process is done by mixing the composite on-site and applying it directly to the cavity. Composite resin has a natural look, but it can chip and stain over time. The lifespan of this type of filling usually lasts anywhere from three to ten years. Made of silver, this filling method does the best to stand against wear and tear. You never have to worry about the filling chipping or cracking, though there is one downside: its dark color makes it stand out. This type of filling is usually reserved for use on the back molars and other hard-to-see areas. This filling is composed in a lab and then cemented to the tooth. This method tends to be the most used as gold reacts well with the gums and usually lasts for twenty or so years. The only downside to using gold is that it costs more than the other materials. Why Get a Dental Filling? The best reason to get dental fillings is that you are able to keep at least some natural portion of your tooth intact. You are able to maintain life in the tooth. If the tooth is pulled it must be replaced by a foreign object, which has no living connection rooted in your gums. In other words, you can still feel a living tooth, but a denture produces no feeling at all. This can throw off your senses to some degree and take away some of the enjoyment to eating certain foods. If you have cavities and are trying to decide on how to have them repaired, dental fillings might be your best option. The process is easy and virtually painless. 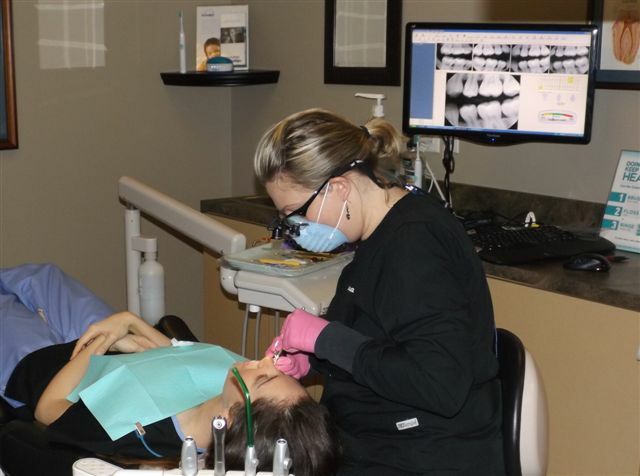 To find out what will work best for you, visit us at South Charlotte Dentistry today. We’re just a phone call away at 704-759-0908. Or, visit us at https://southcharlottedentistry.com/. We look forward to hearing from you soon!